New South Wales Tours, Accommodation, Parks etc. 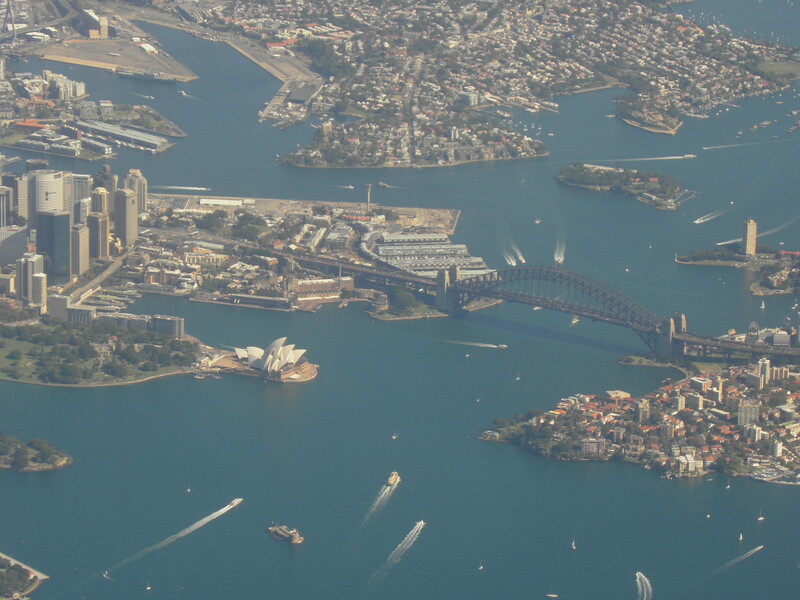 New South Wales is a state of wonderful contrasts, from snow fields and alpine heaths to dramatic coastal scenery and offshore islands with subtropical coral reefs, lush subtotal rain forests and wide expanses of hot, dry outback areas. 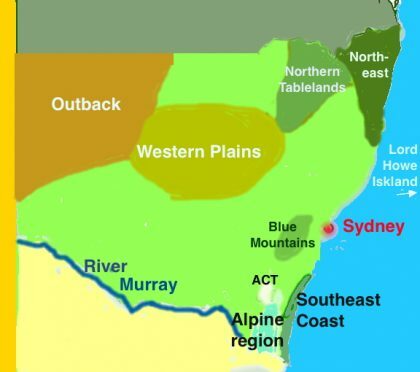 It is also a state of superlatives – the country’s longest and widest river (the Murray, which it shares with Victoria and South Australia), the most easterly point of Australia (Cape Byron), Australia’s highest mountain (Mt Kosciuszko), the highest human population, the first state to be permanently settled by non-Indigenous humans, and home of Australia’s first national park (Royal Botanic Park). Taronga Zoo sits in a very attractive setting by the Sydney Harbour (“Taronga” is an Aboriginal word meaning “beautiful view”), and easily reached by ferry from the centre of Sydney (with great views of the Harbour Bridge and Opera House along the way). 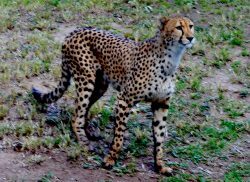 It is home to over 300 native and exotic animal species, and has well-established breeding programs for endangered species. 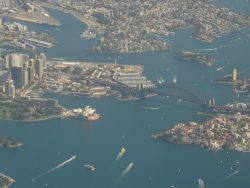 Sydney Aquarium is conveniently located in Darling Harbour, a short walk from the city centre, and includes marine and freshwater creatures from various habitats around Australia, and a moving walkway under an archway, with sharks, rays and other sea creatures swimming to both sides of you and above. An hours drive west will find you in the famous World Heritage Listed Blue Mountains National Park where you can see eastern grey kangaroos, swamp wallabies, lyrebirds, honeyeaters, lorikeets, parrots and glow worms and other wildlife, and the famous waratah flower. Boutique Tours offers wildlife day-tours to the Blue Mountains and other regions from Sydney. The Hawkesbury Sandstone region just north of Sydney harbours heathlands rich in birdlife. This mountainous island is fringed by the world’s most southerly coral reef and affords wonderful diving and snorkelling experiences. It is said to have the highest numbers of seabird species and individuals in Australia, including the beautiful red-tailed tropicbird. It is also home to some unique species. A giant stick insect was thought to be extinct but recently discovered alive in the forest, and 60% of other insects are thought to be endemic (found nowhere else). The flightless Lord Howe woodhen is endemic, as are three songbirds. 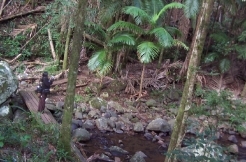 One of the word’s best-preserved volcanic calderas surrounds the peak of the old volcano, Mt Warning (“Wollumbin” to the Aboriginals) and the uplands harbour several kinds of rainforest (the most extensive preserved areas being in the Border Ranges National Park) and eucalyptus forest. The wildlife is diverse. Birds include Albert’s lyrebird, two species of bowerbird, the world’s only bird of paradise outside of the tropics (Paradise riflebird), endangered species such as Coxen’s fig parrot and eastern bristle bird, and much more (but seeing the rarer species can be quite a challenge). On the north coast, Byron Bay and Port Stephens both have great Humpback whale viewing in winter and spring as they migrate up and down the coast from Antarctica to their northern breeding grounds and back. Port Stephens also has a good population of bottle nose dolphins. You can also go diving with turtles at Fingal Head, kayaking with dolphins at Byron Bay. 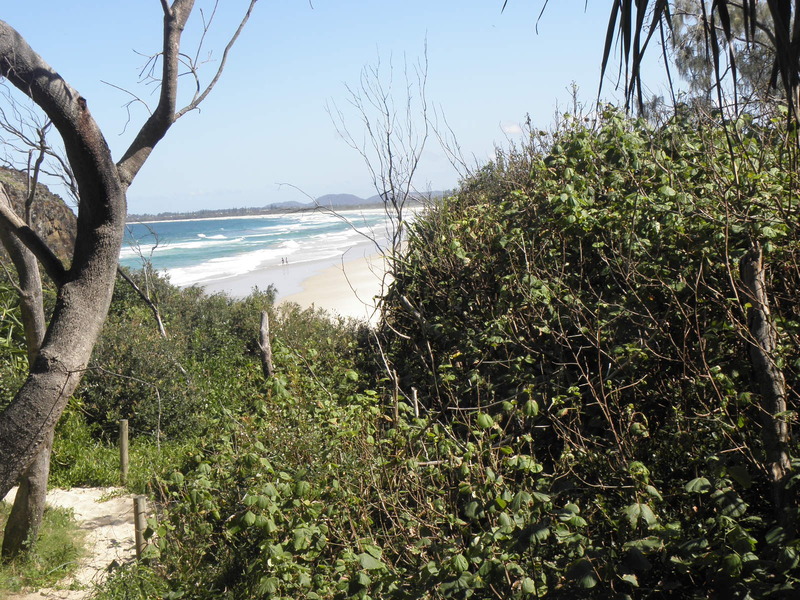 Dr Greg Clancy, a bit further south, takes expert birding tours of coast and forests. The high country to the north includes diverse geology, from sandstones to volcanic basalts, and thus many vegetation types. New England National Park, near Armidale, is one of the largest protected areas here, and includes snow gum woodlands, mountain heaths, swamps, mallee (low eucalyptus woodland) and rainforests. The Australian Alps span parts of southern New South Wales, Australian Capital Territory and northeast Victoria. Mt Kosciuszko is Australia’s highest mountain, and is worth visiting not just for winter snow activities but the alpine meadows which are alive with wildflowers in springtime and you can enjoy some wonderful walks with magnificent scenery. The region harbours native animals such as wombats, kangaroos and many birds. Endangered animals you probably won’t see include the spectacular corroboree frog and the mountain pigmy-possum. Each spring, thousands of bogong moths that breed in southern Queensland travel about 3000km to the alpine regions of NSW, ACT and Victoria, often flying in great numbers around lights at night before settling in alpine caves for the summer. There is no shortage of places to stay in the region: resorts include Thredbo, Perisher Range (including Bullocks Flat), Mount Selwyn, Charlotte Pass, Kosciusko Mountain Retreat, Ski Rider and Sponars Chalet. There are also camping grounds, hotels and guest houses in the area. Known as the Sapphire Coast, this area includes several national parks with great walks in a coastal wilderness with some. In winter it can have one of the world’s highest densities of whales and dolphins, and there are some good viewing opportunities from pubs, light-houses and other venues. Little penguins and the New Zealand and Australia fur seals and abound on Montague Island, a short boat ride from the mainland. Other winter visitors are several species of albatross, and there are good birding opportunities year-round with skuas, gannets and other marine birds as well as sea eagles and many forest species. The red gum woodlands and other vegetation communities along the Murray (Australia’s longest and widest river) and the Darling (another very long river that flows into it from the north) harbour a great diversity of birds. Australia’s largest freshwater fish, the Murray Cod, and many other aquatic animals live in the river, which starts in the alpine regions and flows for many kilometres along the Victorian border, before reaching its mouth in South Australia. There are places where you can hire boat to travel up and down the river. These are a vast expanse of rather flat country, encompassing sheep and wheat farms, semi-dry woodlands, and true outback habitats. Taronga Western Plains Zoo is a large rangeland zoo, where giraffes mingle with ostriches and zebras with rhinos and the fences are largely out of sight in deep ditches. The zoo is divided into worlds regions and includes endangered species. You can drive from region to region, parking your vehicle as you reach points of interest, or hire a bicycle. You can even leave your dog in a kennel near the entrance as you explore the grounds. To really see the outback you need to travel a few hundred kilometres west from Sydney. You can travel by train from Sydney to Broken Hill in the far west, and you can hire 4WDs from there. 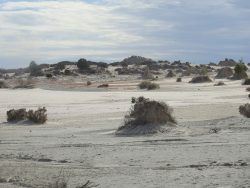 Visit Sturt National Park or Meningee Lakes for an authentic outback wildlife experience.